We’d forgive you if you don’t know this track, that’s what we’re here for, but we could not forgive you for not knowing one of the biggest techno influences since the early 90’s who still manages to stay completely relevant today; Laurent Garnier. 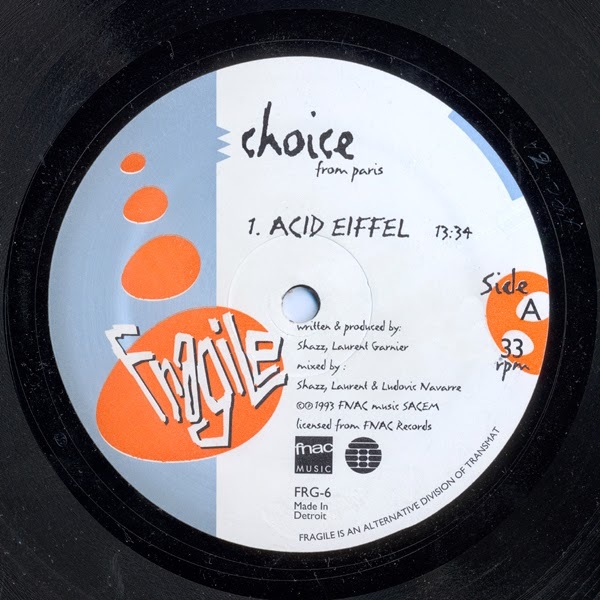 This week’s music comes from 1993, officially released under the artist name ‘Choice’, a cooperation of Laurent and Shazz, the track embodies the pure spirit of what 90’s techno was all about – when it was still something new and people were going where no one had gone before, doing what no one had ever done. True innovation. This track has become a standard to which we (personally) compare the tracks of today. You might say it’s cheesy, but remember, they did it first, everyone else followed. Please, discover this for yourself, put some headphones on and re-live the golden age of techno.